My baby, 2003 mach 1, 80,000km, died while driving. Scenario was fuel deprivation. Towed it home on the flatbed. $160 sigh. Realized the fuel pump is not priming. I've got 3/4 tank full and I am wondering how to empty the fuel tank considering the fuel pump is not functioning, the car will not start and I don't believe 2003 allows siphon techniques. Background - the car was stored for the winter, drove it 5 km, parked, on the way back home it died. Don't think it's related but last year I changed the starter, it cranks np. Hand pump.... 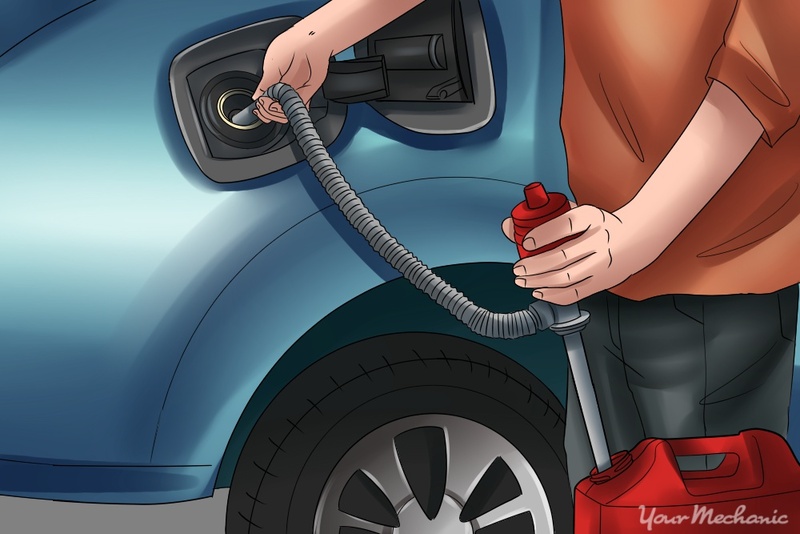 Many vehicles will also have a small metal door or flap that may prevent the tubing from being fed into the tank. If that is the case, use your screwdriver to push the small metal door open, and then proceed to feed the tubing down into the tank. 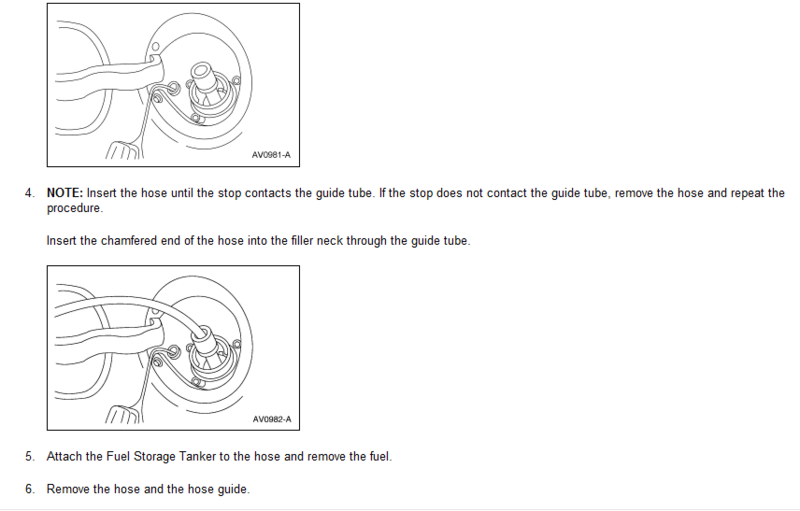 You can replace the pump with the fuel in it, you just have to be careful! 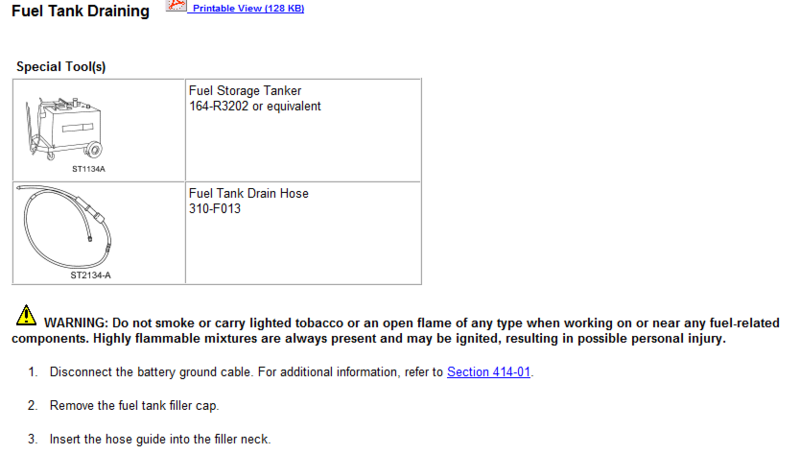 I the pump doesn't prime, but will run, you can use the pump to drain the tank. 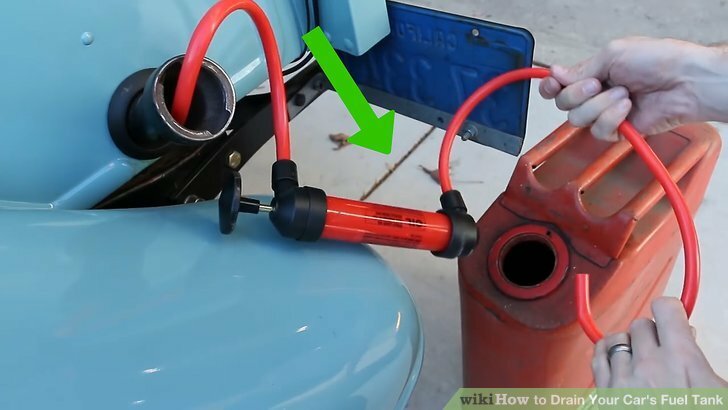 If you jumper the +12V connector to the fuel pump test line, then you will turn on the pump continuously until you pull the jumper wire. Does half a tank of 87 octane plus half a tank of 91 = a full tank of 89?